Keeping their livelihood healthy fishermen in Southeast Asia are working to ensure that illegal fishing and keeping track of fish stocks are monitored. 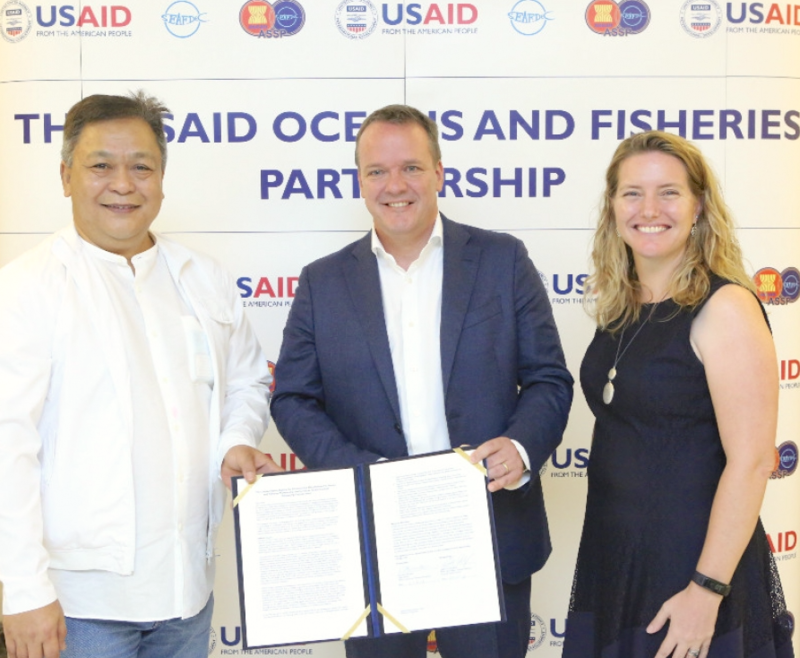 The United States Agency for International Development’s Oceans and Fisheries Partnership (USAID Oceans) has announced a new partnership with Inmarsat to help commercial fishing crews promote sustainable fishing in Southeast Asia, through the use of satellite systems to improve catch documentation and traceability (CDT). Crew members on medium and large vessels will integrate existing monitoring systems and CDT data with Inmarsat’s Fleet One and IsatData Pro technology under the agreement. USAID Oceans will pilot this technology in Bitung, Indonesia, and Songkhla, Thailand, where the project has undertaken CDT system development and testing. In Indonesia, Inmarsat will equip fishing vessels from participating companies with satellite systems for real-time electronic voice and data exchange while at sea, consistent with Indonesia’s Ministry of Marine Affairs and Fisheries reporting requirements, with the aim of reducing illegal fishing and supporting the monitoring and sharing of fish stocks. This technology will help fishing fleets to locate fish faster, improve voyage planning and track weather forecasts. In Thailand, Inmarsat, in partnership with seafood producer, Thai Union, is providing satellite systems for digital catch reporting, communication and fleet management. These activities in Indonesia and Thailand will also support expansion to other countries in the Asia-Pacific region to use similar systems, the project partners said.